Free Cone Day 2016 is Coming! 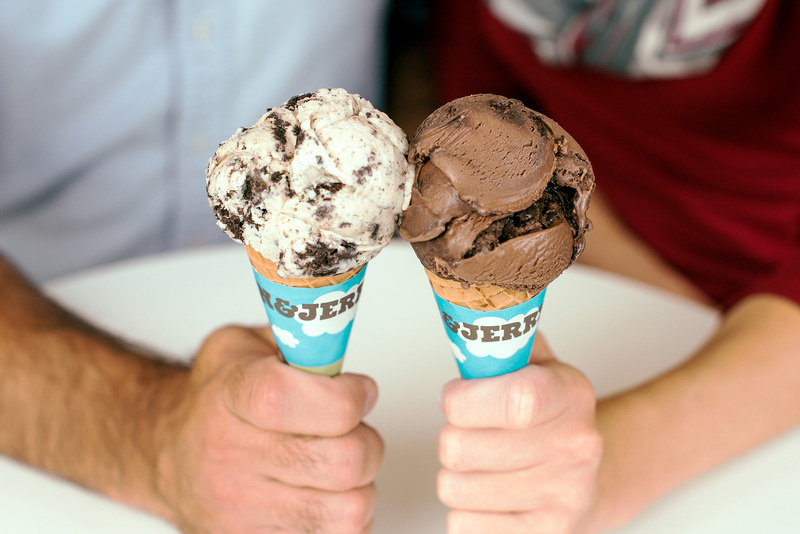 Ben & Jerry’s fans around the world can mark April 12th on their calendars as the 2016 Ben & Jerriest day of the year; Free Cone Day! 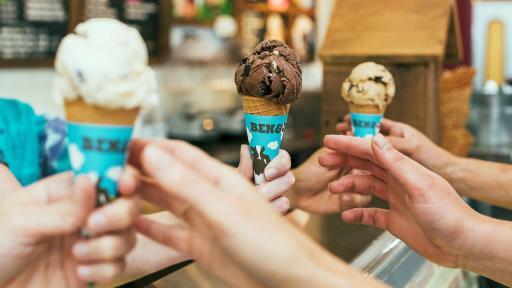 For the past 37 years, Ben & Jerry’s has opened scoop shop doors to dish out free ice cream to fans, thanking them for being so uniquely awesome. The tradition has continued to grow, beginning in the small state of Vermont, USA, and now reaching across the globe. 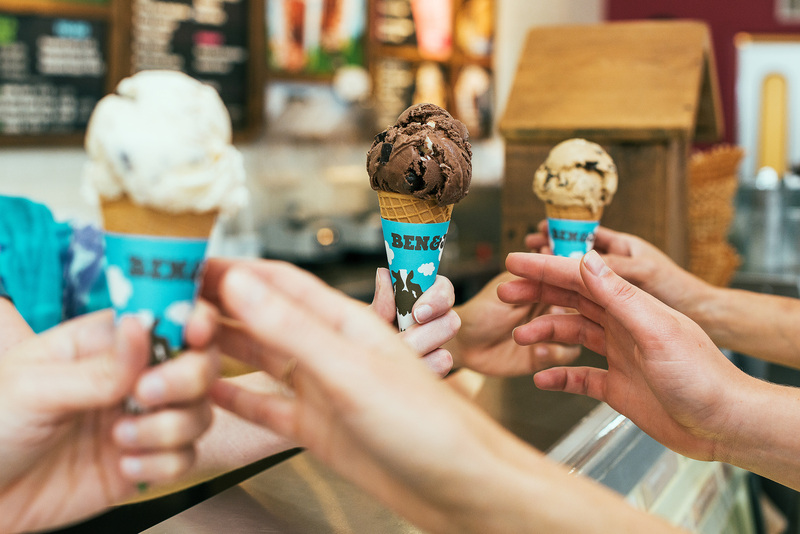 Fans are invited to their local scoop shop to join in on the company’s long-time tradition of thanking fans for their commitment and ongoing support. The company was founded on the idea that business has not just the opportunity, but also the responsibility to give back to the community. 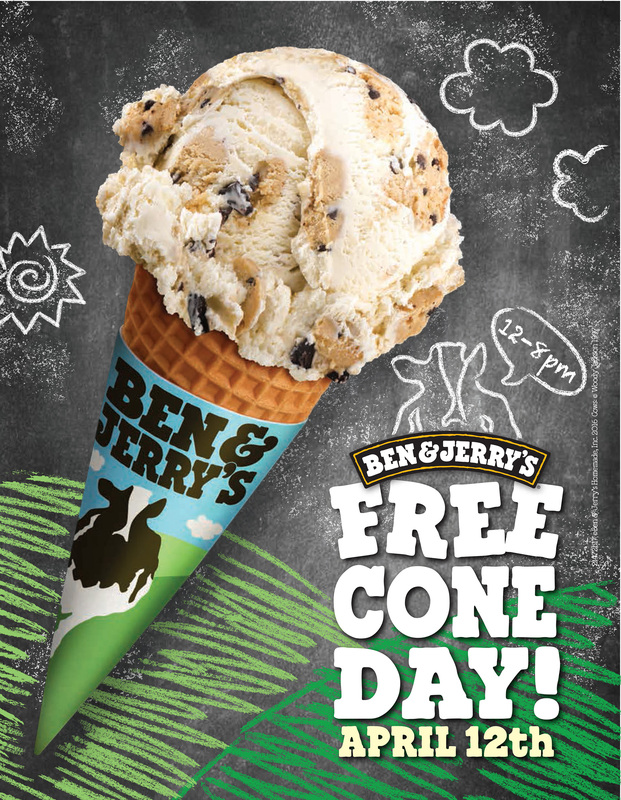 Free Cone Day is a long standing tradition when it comes to benevolent acts and as Jerry said, “If it’s not fun, why do it?” The annual anniversary merges the two founding principals and demonstrates that giving back to the community is just as sweet as free ice cream. Free Cone Day is coming April 12th! 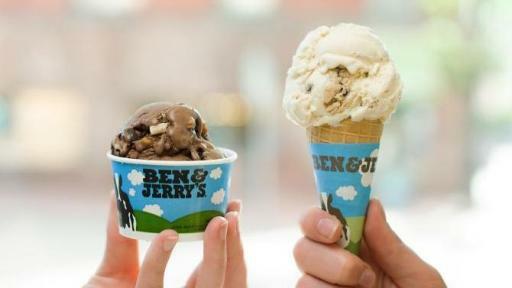 “We pride ourselves in being a company that is further enriched by giving back to our fans, who believe in our values as much as we do,” said Ben & Jerry’s CEO, Jostein Solheim. 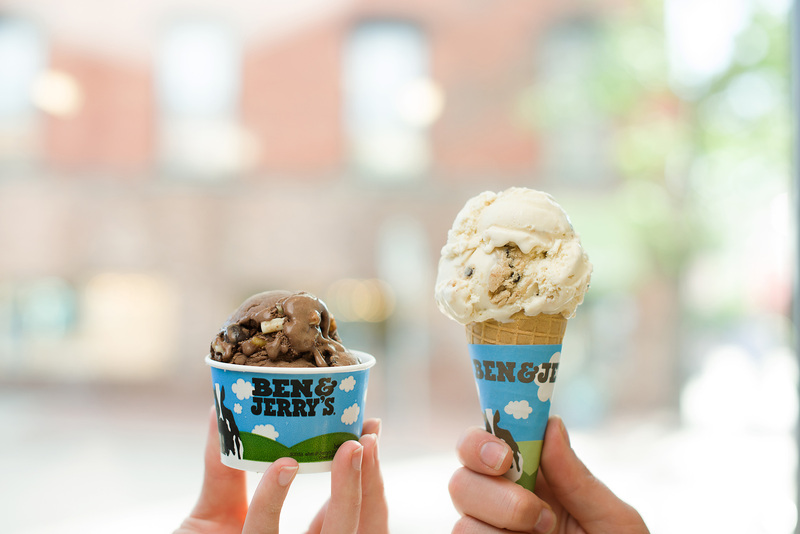 Ben & Jerry’s has been a long time advocate of social causes like marriage equality, environmental sustainability and ensuring that their ice cream is made in the best way possible which includes sourcing Fairtrade and non-GMO ingredients. 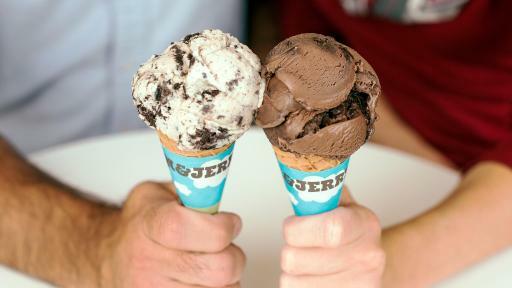 The co-founders of Ben & Jerry’s started the tradition at the company’s first anniversary in 1979. Giving back to the community has been ongoing since the beginning and will continue be a part of the company’s mission for years to come. 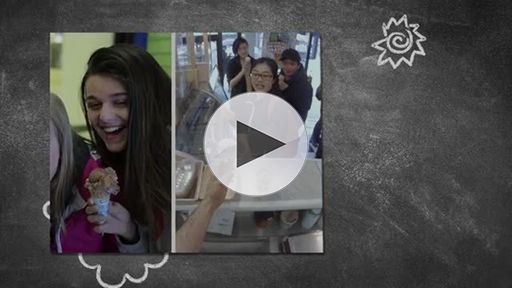 It’s not just about the wacky and delicious flavors at Ben & Jerry’s, but the values on which the company was created. So comes the biggest question, what flavor will you have on Free Cone Day? 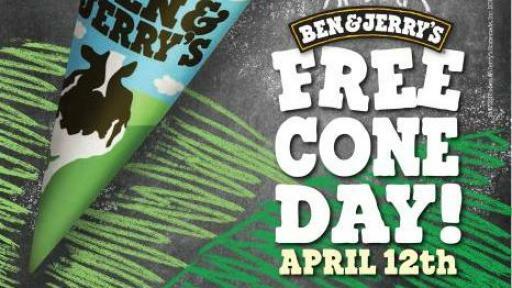 Log on to www.benjerry.com to find Free Cone Day at a Scoop Shop near you.